My hope is that by sharing in real time as I learn watercolors, I can inspire others to join me. One thing I’ve noticed is that as various sketching groups form, there are suddenly a lot of rules you have to follow to be authentically part of that group. I believe that watercolor sketching and painting is just plain fun and that everyone who feels the urge should give it a try without worrying about rules or results. Whether you want to plein air paint, urban sketch, work from a photo at home (with a lovely glass of wine! ), or create something entirely from your own imagination! It’s all a doodlewash! 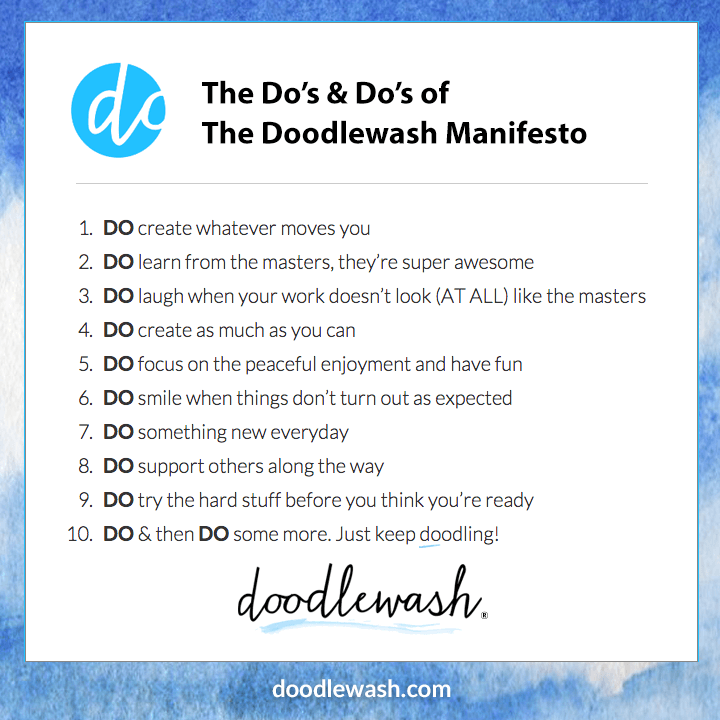 So I created “The Do’s & Do’s of The Doodlewash Manifesto” to get us all started. So who’s with me? Let’s DO this! It’s whatever the heck appears on the page while watercolor sketching in whatever way you like to do it! You made it, so smile and sign it. Now it’s a masterpiece. Click here to check out the Doodlewash Dictionary! DO & then DO some more. Just keep doodling! Actually, come to think of it, this is just a pretty darn good way to live your life in general. So feel free to use it for that too. Or, if you like, click here to download a copy of the Doodlewash Manifesto for yourself! Now grab a brush and let’s have some fun! Leave a reply below with a link to your work or just post it on your favorite social network with #doodlewash! Or if you need some tips to get started, just click here! 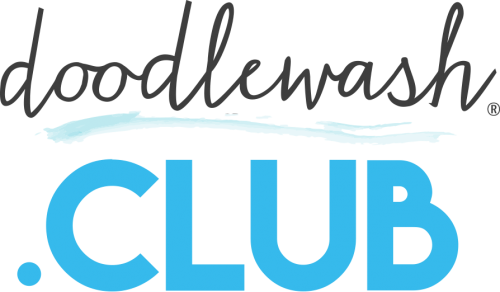 I can’t wait to see your doodlewashes! And if you’re already making some wonderful watercolor art, and want to have your work featured here, the answer is, yes, of course! Just click here to learn more!